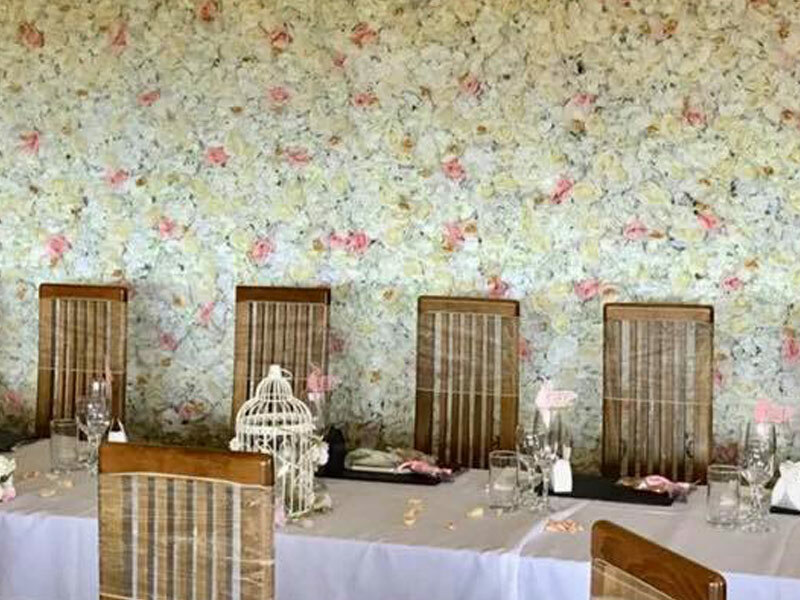 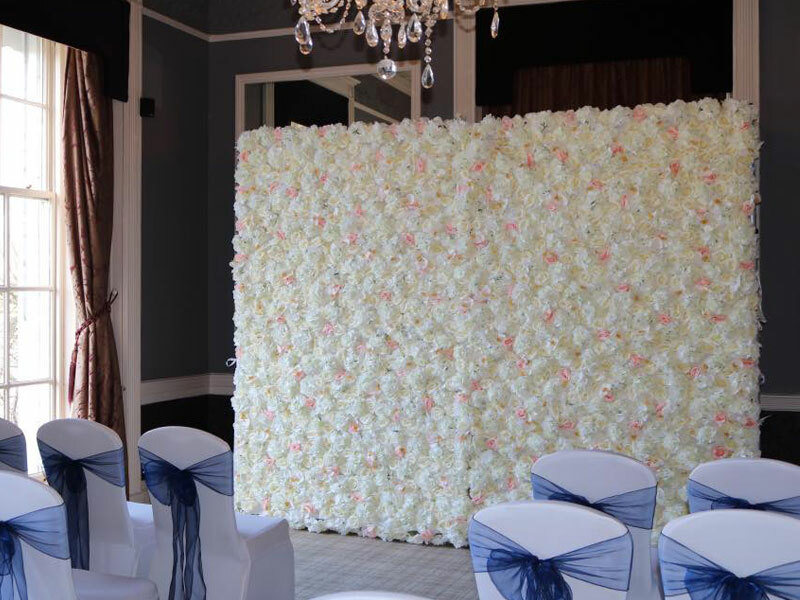 Our beautiful white, ivory and blush pink floral walls are a fabulous way to customise your wedding and create amazing photo opportunities. 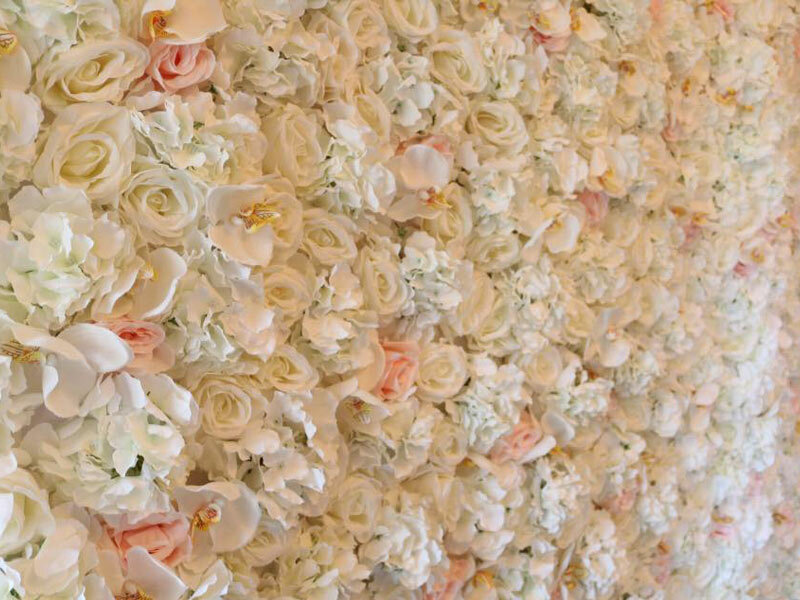 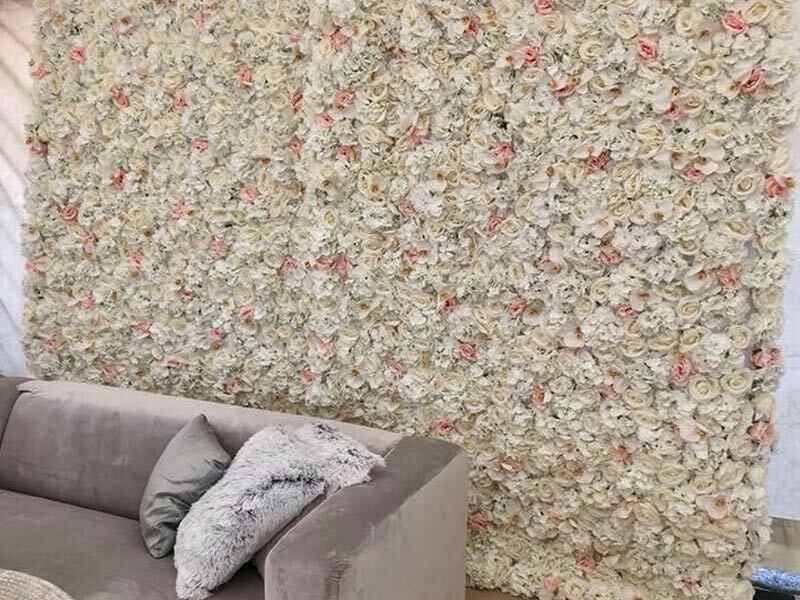 Filled with roses, orchids and hydrangeas and made famous by Kim Kardashian it certainly brings the WOW factor. 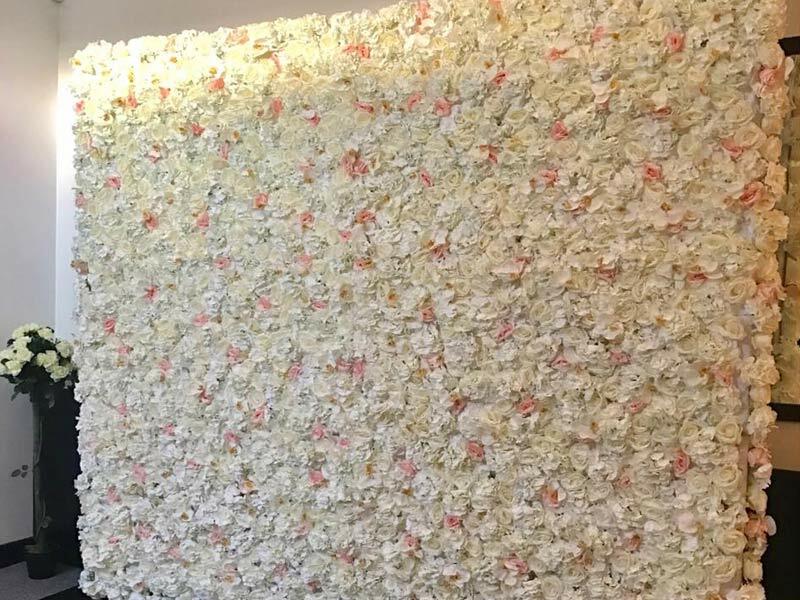 Standing 2.5m tall and 3m in width. 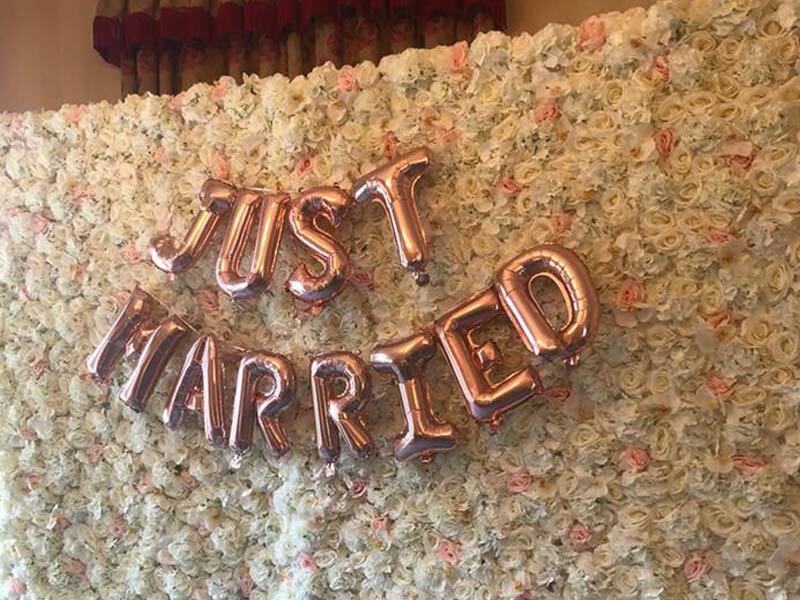 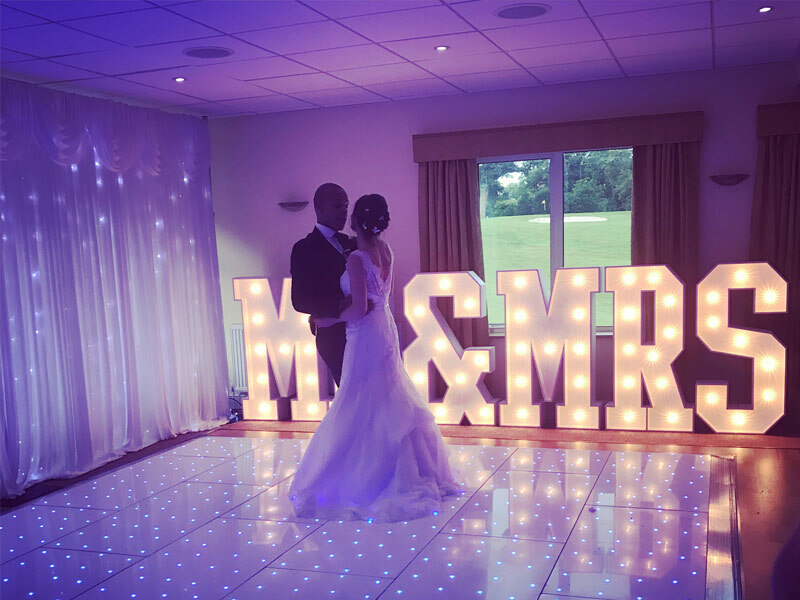 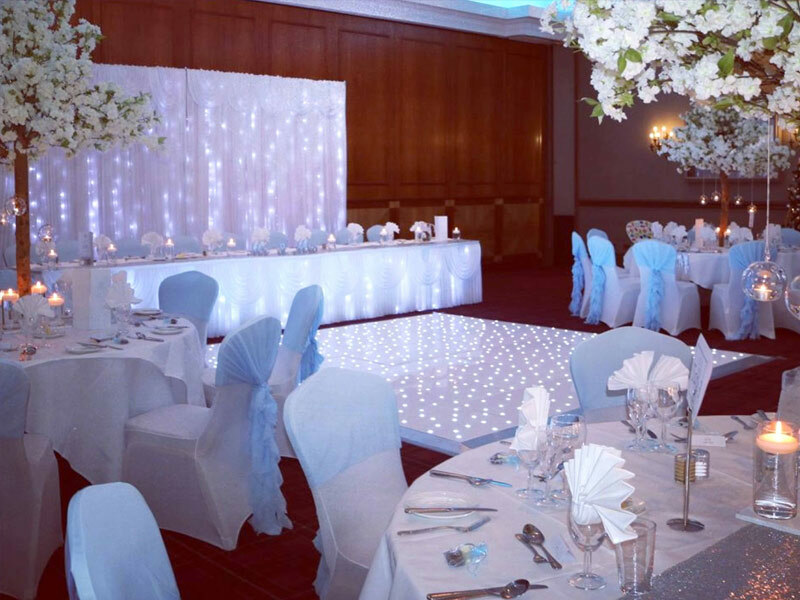 Our large white fairy light backdrop with swag is a great way to cover up an area you would rather be hidden and add some sparkle to your wedding or event. 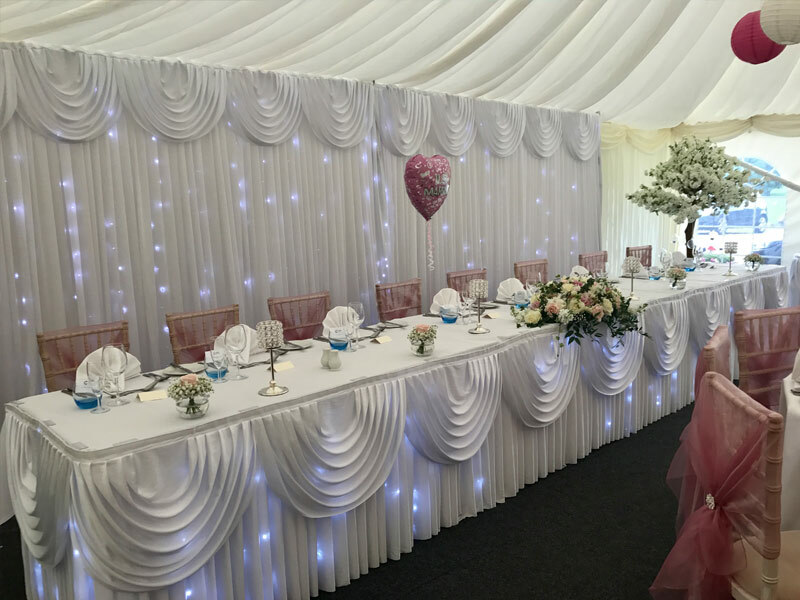 Standing from 2m-5m tall and 6m in width.